At Caterpillar, sustainability is our commitment to building a better world. It is part of who we are and what we do every single day. We recognize progress involves a balance of environmental stewardship, social responsibility and economic growth. 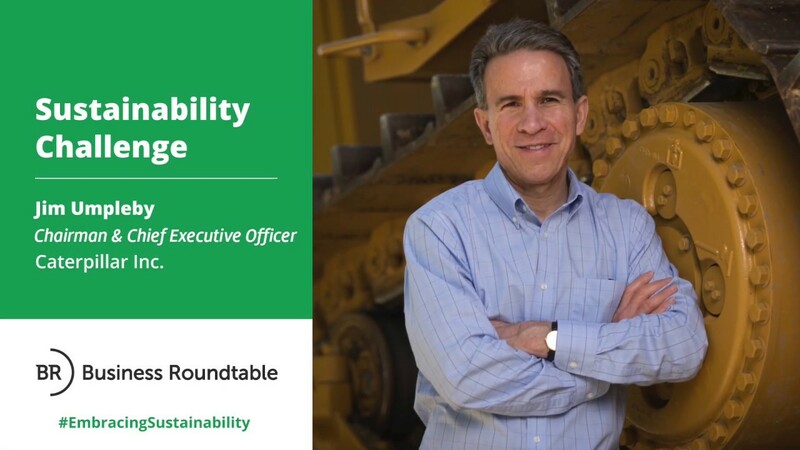 As part of the Business Roundtable’s Embracing Sustainability Challenge, Caterpillar Chairman and CEO Jim Umpleby is sharing how Caterpillar puts sustainability in action. Check out Jim’s video to learn more about Caterpillar’s commitment to sustainability and which CEO Jim is challenging to share their company’s sustainability story.